The most popular reality show Bigg Boss 11 hosted by Salman Khan premiered in October on colors and since then it has been constantly successful to pervade high dose of daily drama through their content. 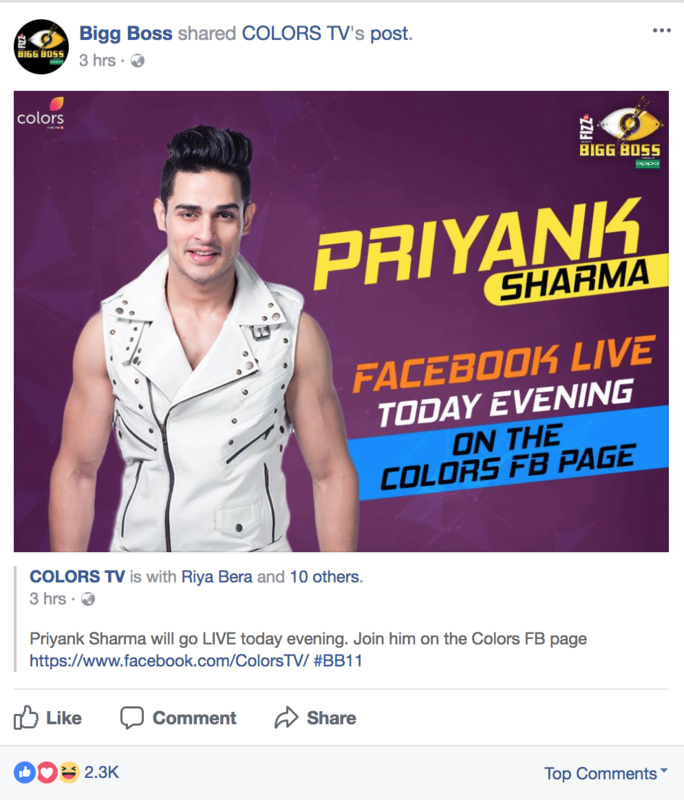 Evaluating the huge amount of discussion across the social media in the last seasons, this year the agency along with Colors digital team planned and implemented thought-provoking social media campaign. A full arsenal of content layouts is used to keep the audience involved. The team also has a very strong social CRM plan wherein they involve with the audience using widespread dialogues and occurrences from the show. 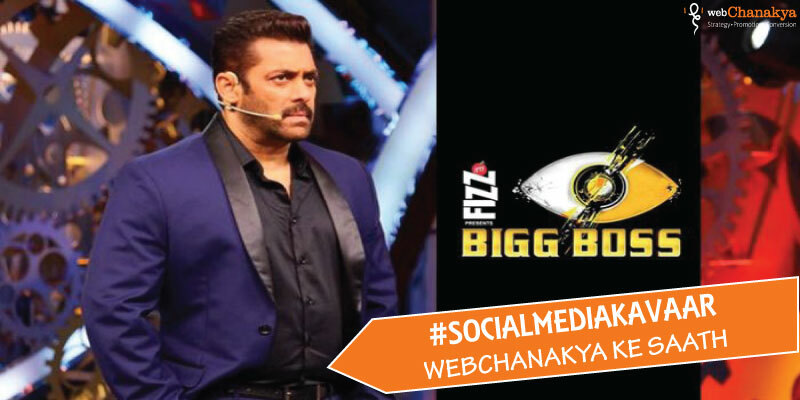 Webchanakya decodes the social media strategy of Bigg Boss 11. 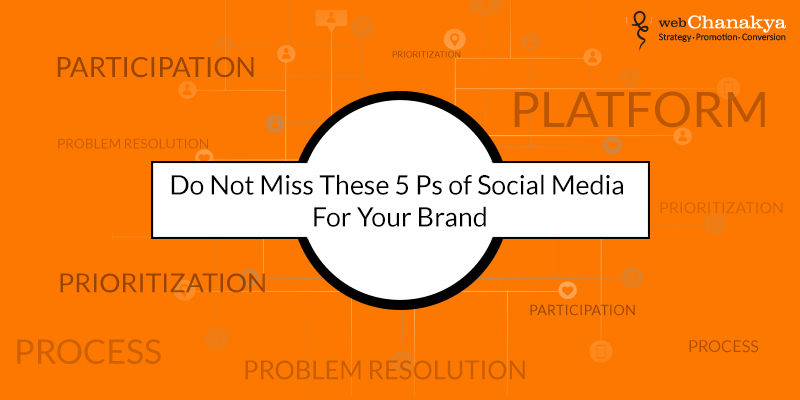 Hashtags and stickers are a very interesting way of social media marketing. 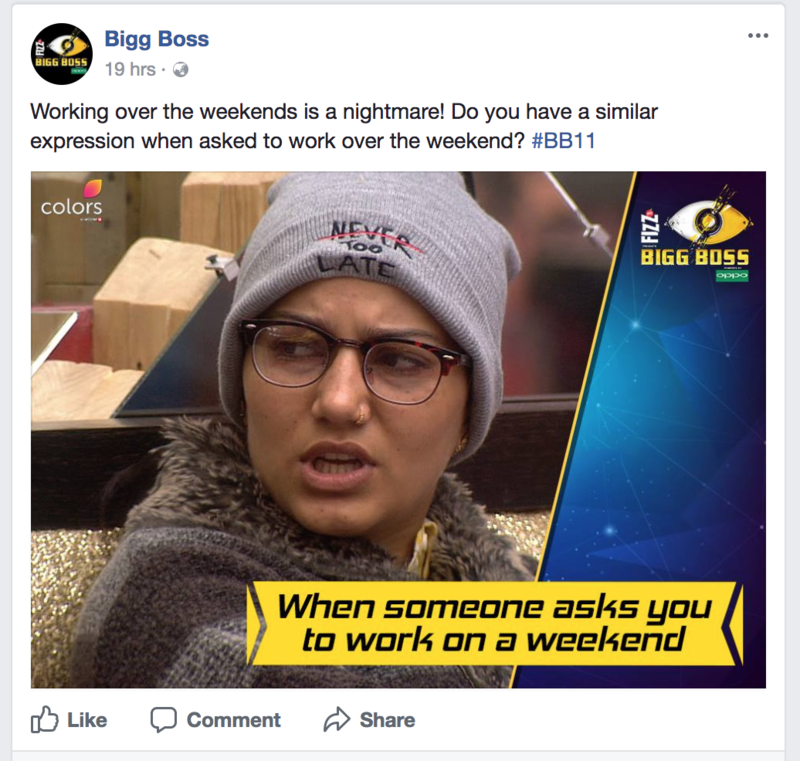 Bigg Boss Facebook page shows post about the show with hashtags that can drive the conversation. The most interesting part which held our attention was the use of personalized sticker. 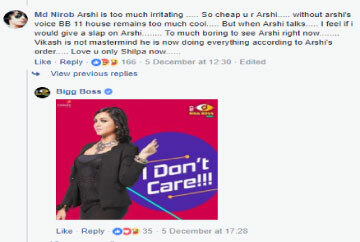 On Bigg Boss 11 Facebook page in the comment section the personalized sticker is created which contains the most used catchy lines by that specific contestant. 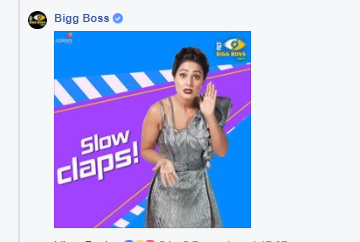 For example, Hina Khan’s sticker says ‘slow claps’. Memes conquer a place in the human memory very easily which creates an image of the brand and it also interests the consumers. Therefore, Memes are now an imperative fragment of social media marketing campaign. 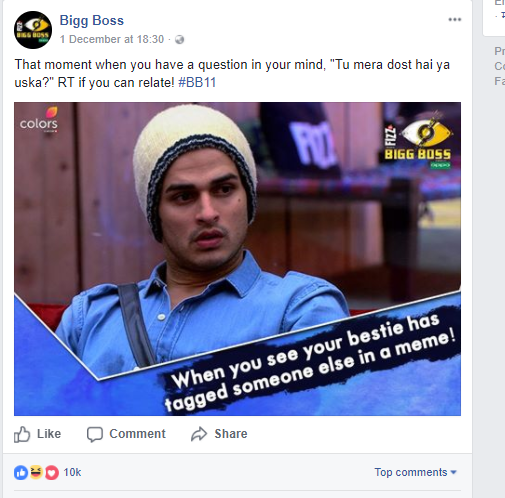 Bigg Boss 11 page is posting regular memes so that their marketing strategy does not lose the fun element. Getting the eliminated contestants live is a great idea as audience loves to watch their favorite stars in action. If brands can use this update appropriately than there is an excessive chance of linking with the consumers candidly. The Facebook live received a very positive response from the live audience. 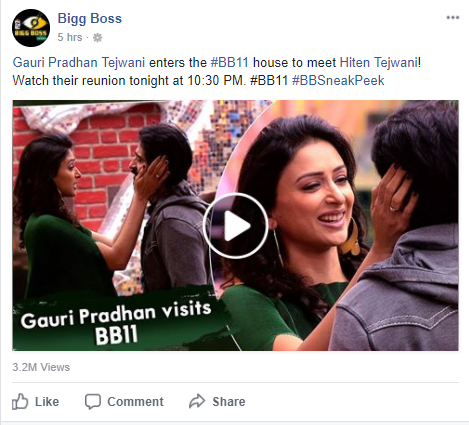 Similarly, on Twitter during the telecast of the episode continuous tweets are being generated by the Bigg Boss 11 official twitter page and this results in live audience interactions. In marketing field, it is always a good idea to associate one big/successful brand with another. 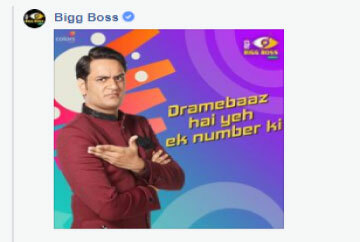 In Bigg boss’s social media strategy we have observed the same. Bigg Boss has become the most convenient platform to promote the upcoming films. 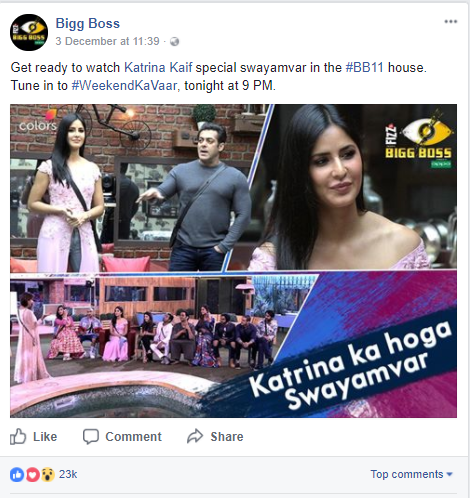 Recent such example is Salman Khan and Katrina Kaif launching their upcoming movie’s song ‘Dil Diya Gallan’ on the Bigg boss platform, which engaged most of the Salman-Katrina fans to the show. 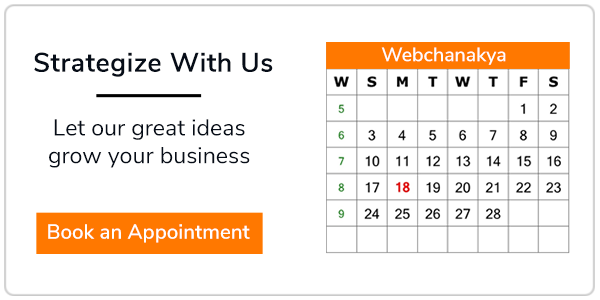 Resources generate a sense of interest in viewers that what will happen next will. 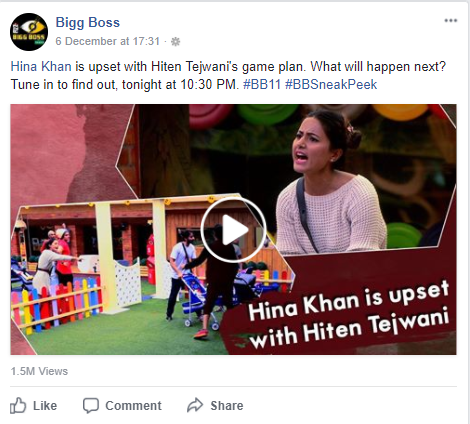 Bigg Boss is using small videos clips from the upcoming episodes in the form of bites which are helping them to gain huge TRP. 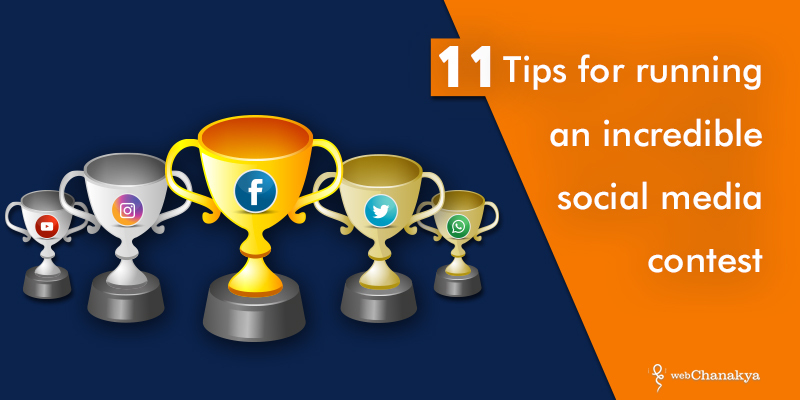 Polls and contests can make your digital marketing very interactive for the public. 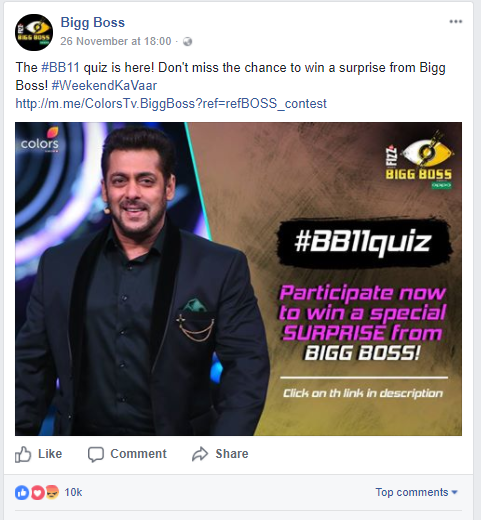 In Facebook posts, Bigg Boss 11 has used polls to know what people think about the contestants and contest such as #BiggBossKePadosi contest and so on. However, the Personal relation team of the contestants inside the house is also very active to promote the celebrity and the show. 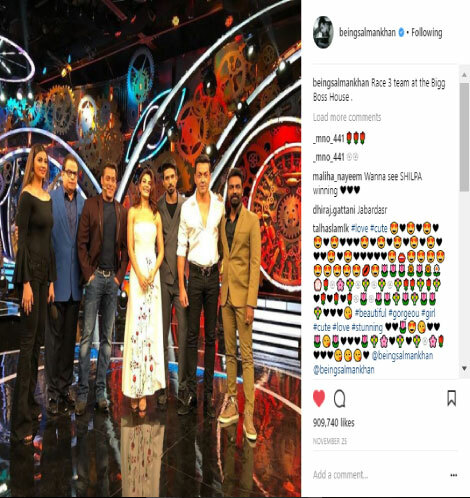 The host Salman Khan is also seen promoting the show on his own personal social media accounts, that has helped the show gain more popularity. 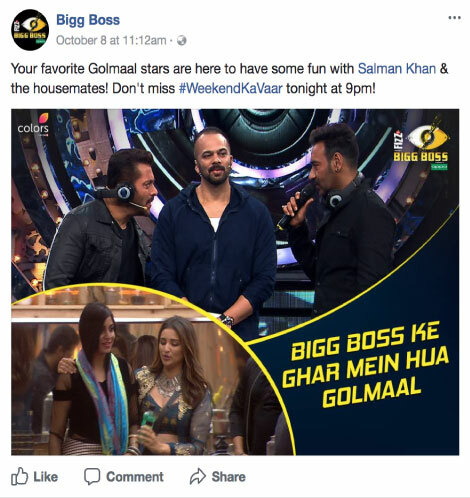 The online audience of Bigg Boss keeps networking on the social media platforms and a vigorous reaction plan fuels dynamic engagement. 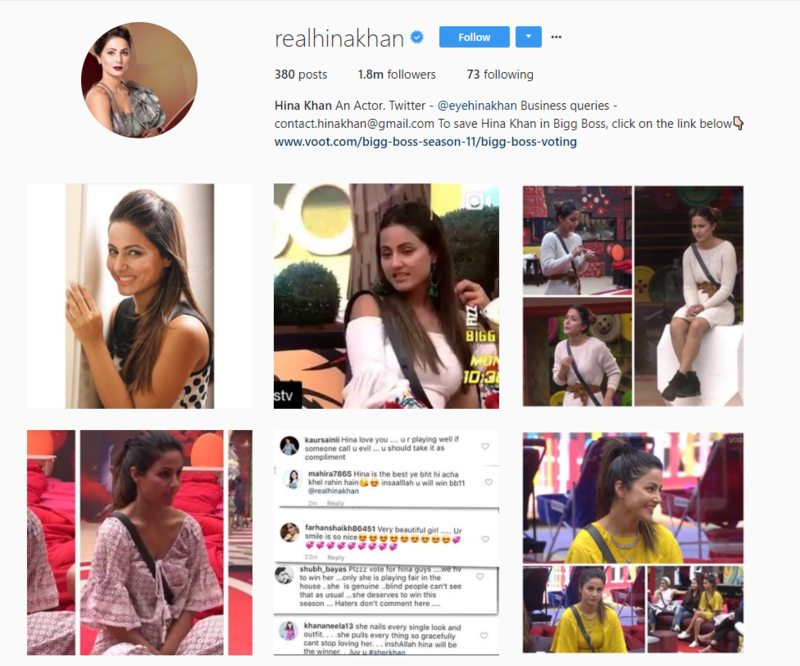 It will be interesting to see, how the social media strategy of Bigg Boss 11 shapes up in the coming days. 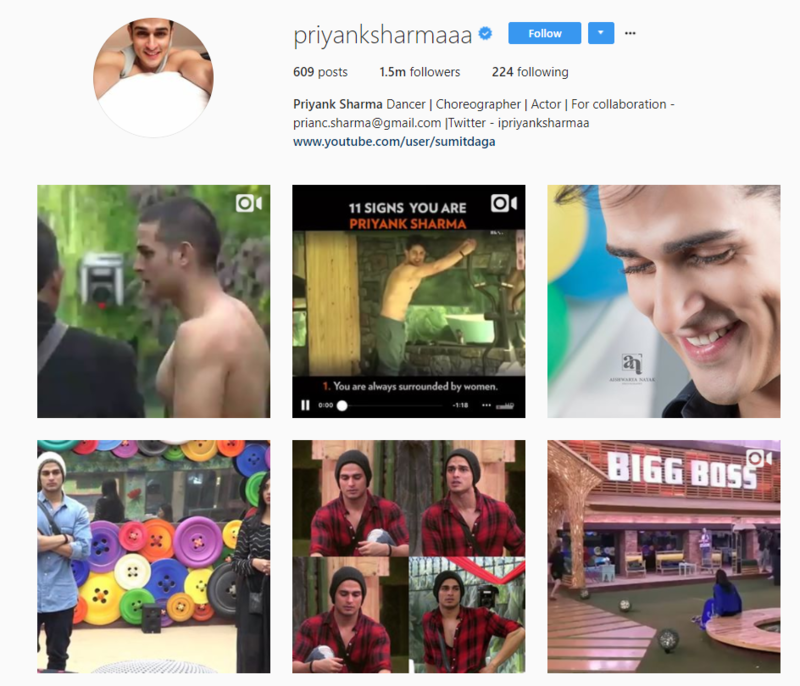 In next article we will decode how contestants and influencers are growing their social media presence by associating with Bigg boss 11 and their PR team strategies.